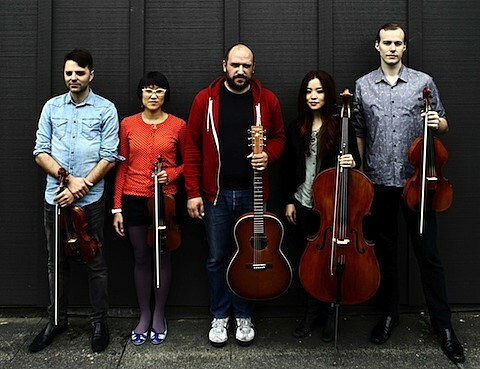 Back in 2012, David Bazan and the Passenger String Quartet joined forces for a one-off show in Tacoma, WA. The evening eventually led to a proper studio session, which took place in Bazan’s hometown of Seattle this past February. The collection of 10-songs they’ve recorded together includes material from Pedro the Lion, Headphones, and Bazan solo efforts. Bazan + Passenger String Quartet / Vol 1 isn’t due out until sometime this fall, but you can now take a listen to the effort in its entirety at the bottom of this post. Bazan and the Passenger String Quartet will be touring North America in support of their forthcoming effort in October/November. That tour includes a performance at Lincoln Hall on November 6. Tickets for the special Chicago show go on sale this Friday (6/13) at noon CST.